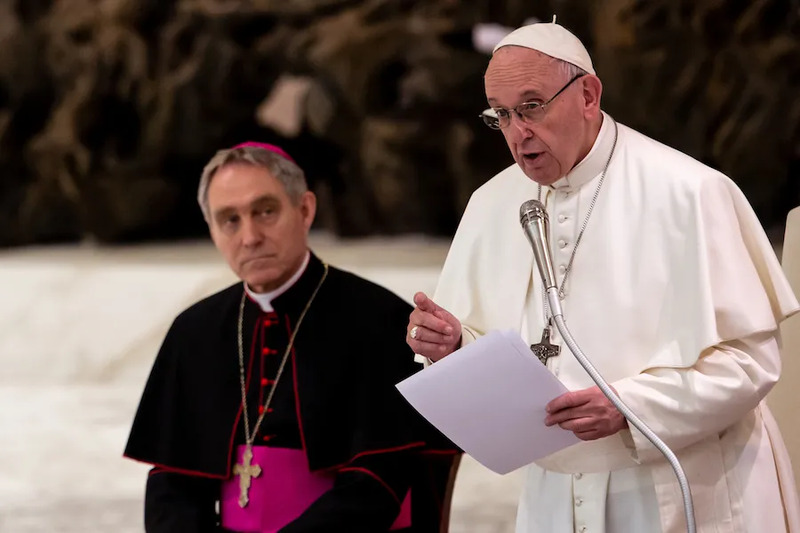 Rome, Italy, Feb 7, 2019 / 09:24 am (CNA/EWTN News).- Often spaces of suffering, prisons should be places of hope and the possibility of redemption, Pope Francis told prison personnel Thursday, urging them to have compassion on the ‘wounds’ of their imprisoned brothers and sisters. Everyone who works in a prison, in whatever capacity, is called “to help those who have unfortunately fallen into the trap of evil, to rise again and to grow in hope,” he said Feb. 7, adding that it is possible for prisons, with the right cooperation, to become places of redemption. “This attitude of closeness, which finds its root in the love of Christ, can foster in many prisoners the trust, the awareness, and the certainty of being loved,” he stated. Pope Francis spoke during an audience with around 600 personnel from one of Rome’s most well-known prisons, the Regina Coeli. Among the group were custodians, administrators, doctors, educators, chaplains, and volunteers, with their families. During the encounter, the pope said that prisons need to be humanized, disallowing offenses against human dignity, and referred to the fact that many prisoners come from poor social classes and family lives, are marginalized, and without the means to defend their rights. Society looks on inmates as “uncomfortable,” “a waste, a burden,” he said.